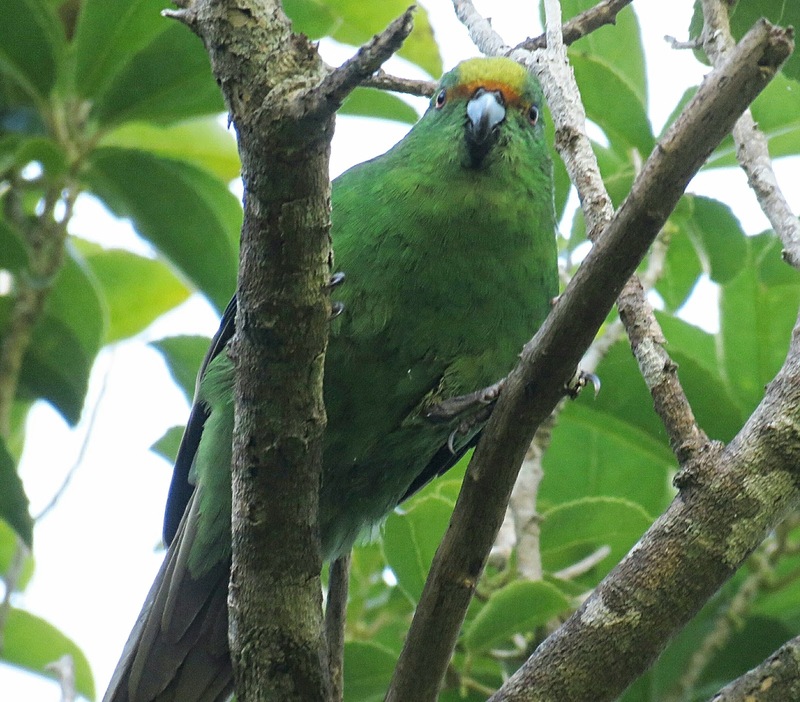 We can ID this parrot as a Malherbe's Parakeet or New Zealand's Orange-fronted Parakeet by its predominantly bright green body (with bluish tint), distinctive orange frontal band (this distinguishes it from the very similar Yellow-crowned Parakeet) on its yellow crown and silver-grey bill with dark tip. 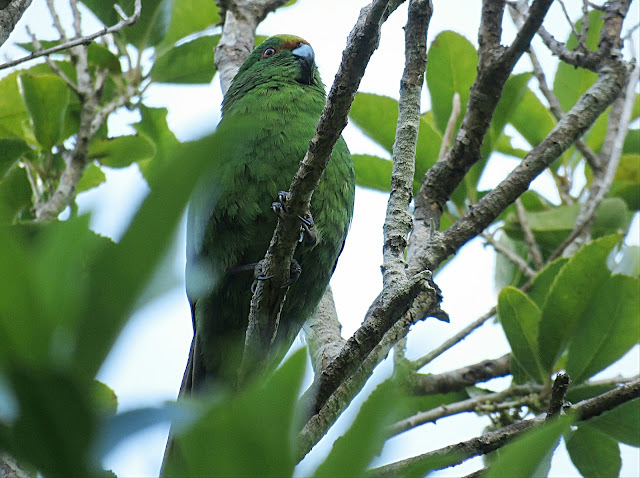 This parakeet is endemic to New Zealand, where it is restricted to a few valleys on the South Island and four offshore islands. In New Zealand it is called the Orange-fronted Parakeet; in the rest of the world it is known as Malherbe's Parakeet. 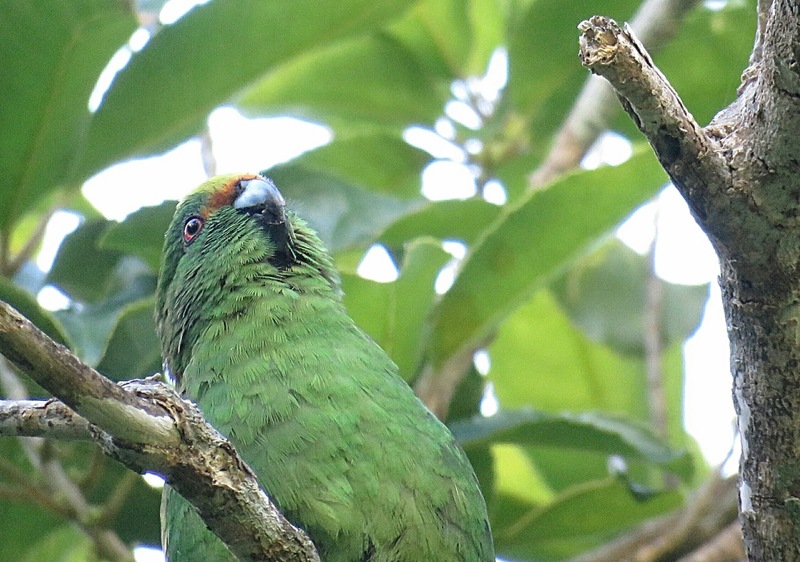 It should not be confused with the simarily named, but different species, the Orange-fronted Parakeet of Central America. 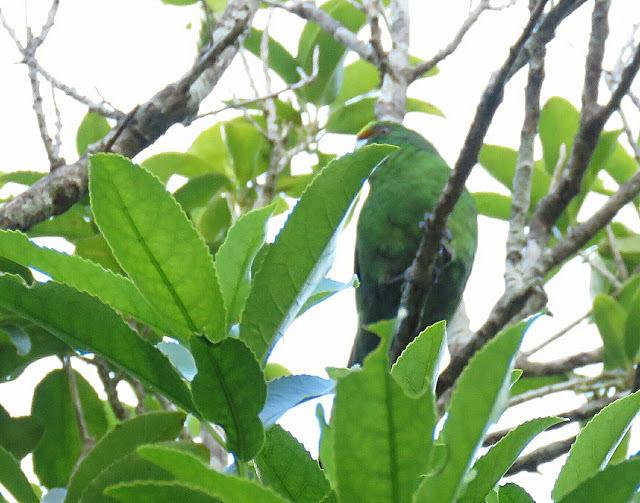 Malherbe's Parakeet is a new species to our Photographic Life List, which now stands at 747.